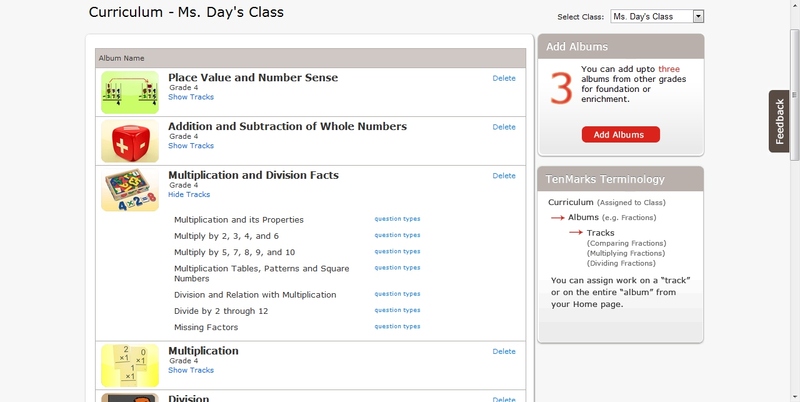 My class just started using a website for math practice called Ten Marks. You can find it at http://tenmarks.com. It was mentioned by several people in the 4thchat on Twitter last Monday. I had looked at the website before, but I hadn’t really ventured past the home page. That was a mistake, because the website has a lot to offer. A big plus for me, is that students can use the iPads for this website. Another advantage, is that it is free to teachers. It was easy to set it up for my entire class, and you can easily tailor assignments to meet the needs of students. It’s a great way for my students to get additional practice, and it is aligned with state core standards. It has curriculum for grades 2 through 8, including algebra and geometry. You can meet the specific needs of students by including skills from other grade levels. One of the things I like about it is that each question contains hints for students to use, as well as videos that give step by step instruction. So even though students are working independently, they have many tools at their finger tips. Each student has their own ID and password, so they can continue to work on exercises from home. There is the potential to include parent e-mail addresses and to include them in messages to students about assignments. 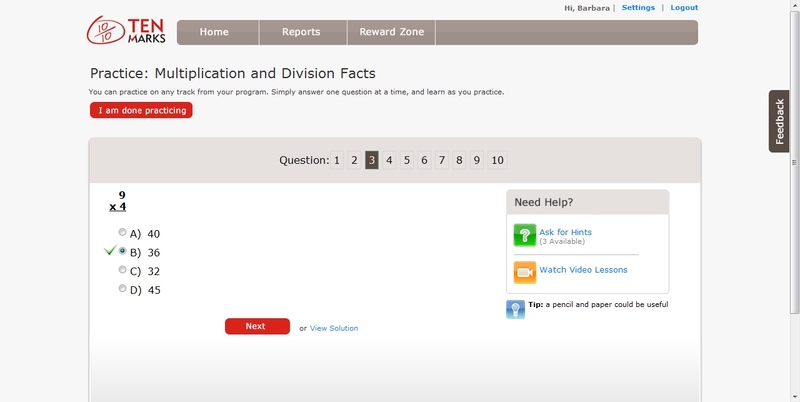 As students progress through the problems, they can have immediate feedback by clicking on the solution. When they end their session, they are notified immediately about their score and progress. This is a very teacher friendly website. There are several videos to assist you in setting things up for your class. Management and assessment are made easy for the teacher because the website includes in-depth graphs and charts that enable you to see how many problems each student attempted and answered successfully. So check it out! This might be just the right website for you and your class. This is a duplicate post of one I made on my Day In the Classroom blog.